We found this article from PetaPixel and had to share. 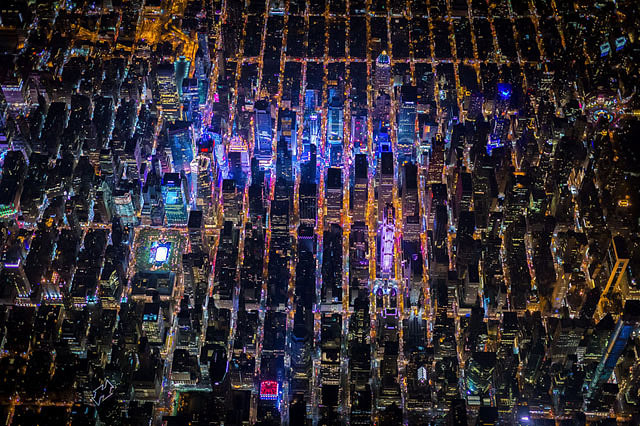 At 7,500 feet and leaning out of an open helicopter door, photographer Vincent Laforet captured some stunning nighttime photographs of New York City. The beauty of the shoot is that he was able to capture looking down at the city without any pane of glass like in an airplane. A few thousand feet higher and oxygen masks would have been required. 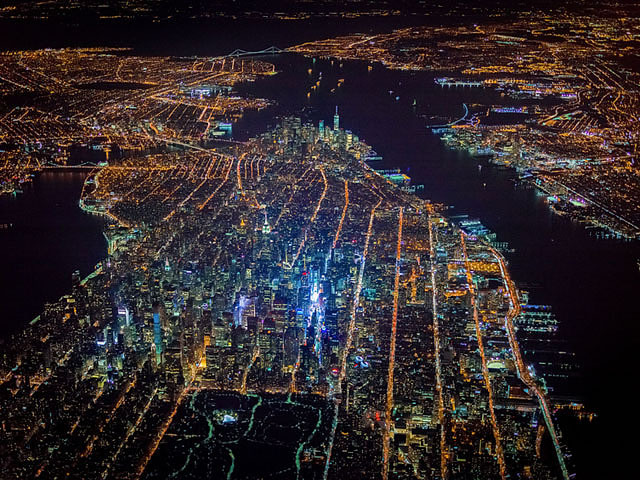 Laforet has been on over 50 aerial adventures over New York City over the past 15 or so years, but this one was “by far the most frightening flight of them all,” he writes over atStorehouse. He and his cameras were harnessed into the helicopter as he shot the images for Men’s Health Magazine using a Canon 1D X and Mamiya Leaf Credo 50MP at 3200/6400 ISO with a set of f/1.2-f/2.8 lenses. 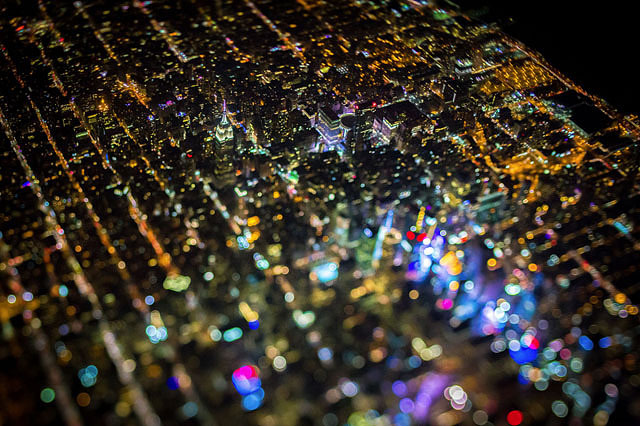 The high ISO and a fast shutter speed allowed Laforet to shoot sharp photographs despite the significant vibrations of the helicopter. You can find more of these photographs over at Laforet’s fine art page. Mikko Lagerstedt is a self-taught photographer that likes to camp next to his tripod at night, waiting hours for an exposure of a frozen coastal scene or a dark and brooding forest. He likes to take shorter exposures of the same location and merge shorter exposures of the sky with significantly longer exposures of the ground, then manipulate in Lightroom. Lagerstedt is extremely open about his process, sharing tutorials and blog posts about how he works on his website. You can also follow him on Instagram. What do you think of his work? Comment below! Let's face it, cat lovers love the thought of having dozens of cats running around their home. So why not capture that thought in a photo? 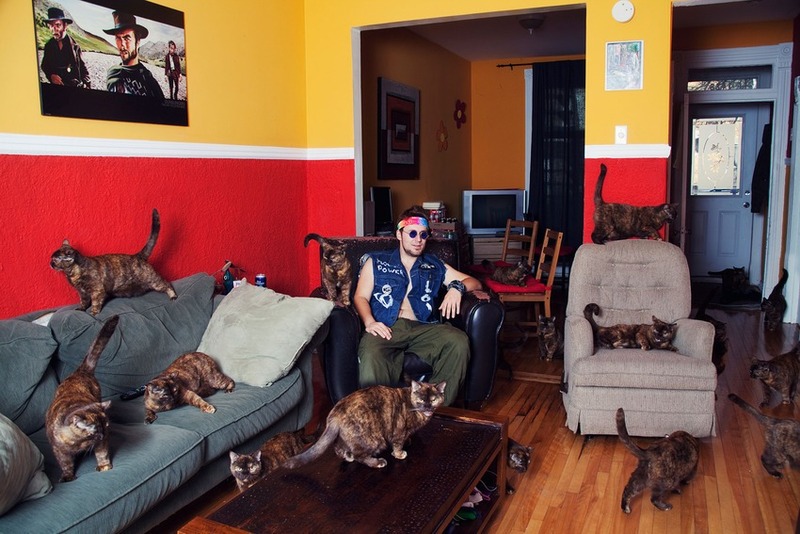 We found this article on Mashable where Andréanne Lupien, a Montreal-based photographer, showcases her Crazy Cat Lovers photography series. She uses photoshop to duplicate the cat owner with their furry friend multiple times over. Some owners really did have up to six cats crawling up the walls and furniture for the shoot. She had inspiration for the series because of her own personal love of felines. "I had fun taking pictures of myself with my cat, putting it around me in the room so that the final picture would result in my cat being multiple times in the photography doing multiple actions," she said to Mashable. To see more of Lupien's photography, click here click here to view her website and enjoy her series below! How much do you love photographing your cats? Tell us in the comments below. Macro photographers love to photograph mushrooms and we came across these great shots on boredpanda from photographer Martin Pfister. He gives them a magical glow by lighting them up from behind with tiny LED bulbs, creative! Pfister mostly uses a Canon EOS 6D for his photos. So intriguing that he has captured them with a fairytale-like quality! We love interesting nature photography like this, let us know what you think of these photos in the comments below.